"This is a really great build," says Microsoft's Gabe Aul, but Insiders with Build 10581 must proceed with caution. After Microsoft's Gabe Aul teased the world via Twitter this morning, Windows 10 Mobile Preview Build 10586 released to fast-ring Insiders Wednesday afternoon. It comes with a slew of improvements—and one big caveat for Insiders who already have Build 10581 on their phones. Or rather, a big bug: "After we released Build 10581 to Windows Insiders in the Fast ring," Aul explained in his blog post, "we discovered a bug in the build that will cause the filesystem to become partially corrupted after doing a factory reset." According to Aul, this bug probably didn't affect anyone while using Build 10581, but it could cause problems when upgrading to Build 10586. Specifically, your phone could go into an infinite reboot cycle. There is a fix: A hard reset should take you safely to Build 10586. In boldface, Aul urges users to do one important thing: back up their phones before they upgrade. A fix for the Start experience, which failed after users tried to upgrade and restore a backup from a phone that had a different display resolution. You can see your current storage settings when you set your default save location. Microsoft untangled the garbled names of SD cards in storage settings. You can move an app to your SD card without crashing the app. Switching apps should be faster. The physical camera button is back—it had stopped working for some users. 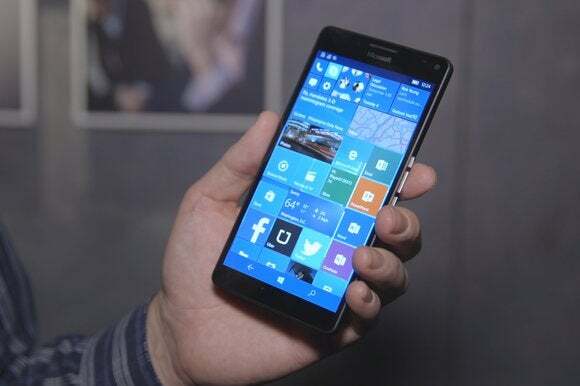 Why this matters: This isn't the first buggy Windows 10 Mobile build. Fast ring Insiders may be a hardy lot, but this big bug merits some extra care. Now that you're cautiously upgrading to Build 10586, let us know whether it was worth the hassle in the comments.